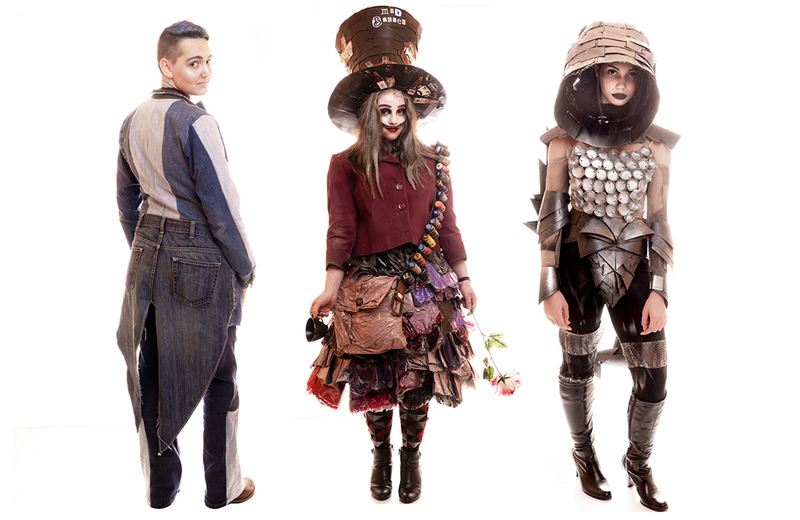 Want to become a Model for Trashion Fashion Show on April 7th, 2019? Along with the show on April 7th, designers and models are required to attend two practices and a dress rehearsal. First rehearsal - Sunday, March 24th, Venue - TBD. Second rehearsal, Sunday, March 31st, Venue TBD. Models to wear their shoes and bring any missing photo release forms. Trashion: arrive by 2:30 pm to dress, rehearsal starts at 3 pm. Designers are responsible for communicating with models about rehearsals. Models should wear the shoes they are wearing on the runway to the rehearsals, but do not need to wear their designs at the first two rehearsals. Bring your designs to the rehearsal if you are still looking for a model. All designers and models are required to fill out a photo release form. 1. How do I volunteer as a model? Designers are encouraged to have their own models, however, the Trashion/Refashion committee can help place models with designers. If you are interested in volunteering as a model, please fill out our Model Application. We will need your measurements in order to best pair you with a designer. Designers are responsible for communicating all requirements, commitments, and guidelines to their models and/or teams. 2. What is the rehearsal time commitment? We divide rehearsals between the ReFashion group and the Trashion group, each has two rehearsals, approximately one hour each in the month before the event and one mandatory dress rehearsal the day of the event. Designers and models are required to attend all three rehearsals. During the rehearsals, we will ask that each model or guardian sign a consent for participation release for the event. 3. Can I use my own makeup/hair stylists? Our designers will decide how they want their designs to look while they're walking on the runway. As a model, you should be open to hair and make-up styles the designer wants. Space is limited behind the scenes at the theater, if you require a lot of space or materials to get ready, please consider arriving at the theater with as much hair and make-up finished as possible.